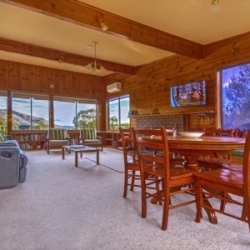 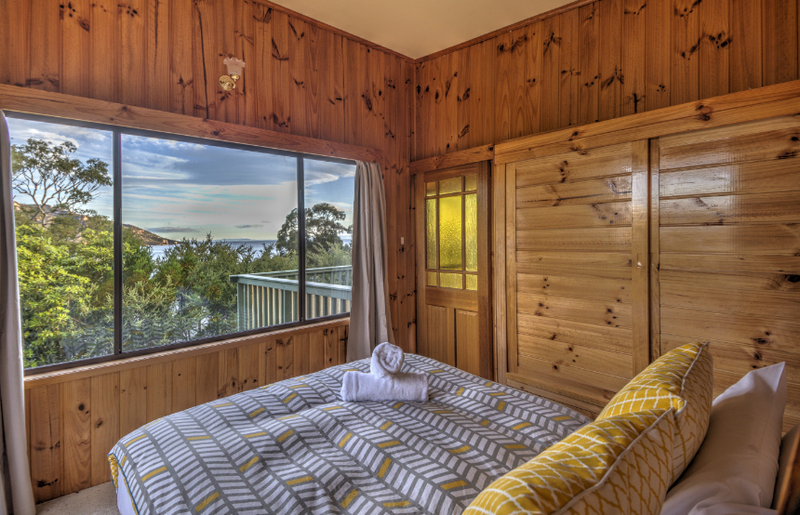 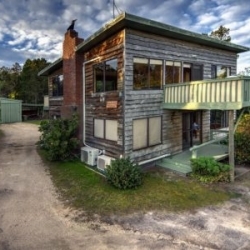 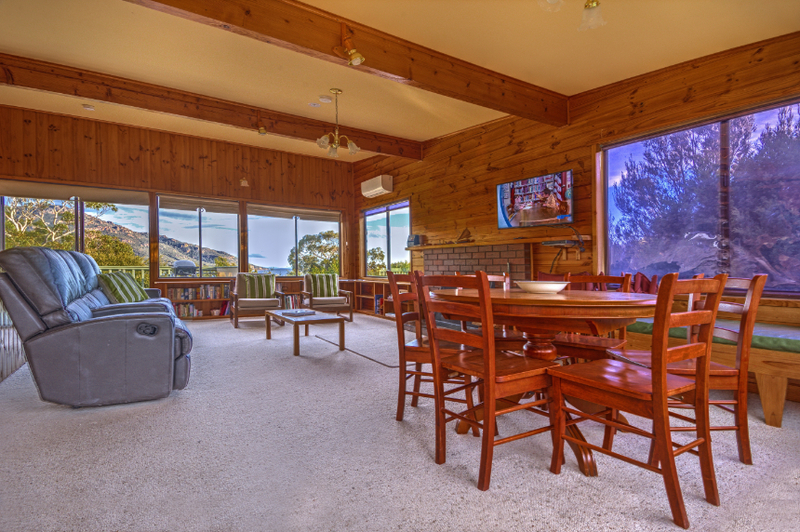 Whether you’ve come to explore stunning Freycinet by sea or land, this comfortable holiday house offers everything you need. 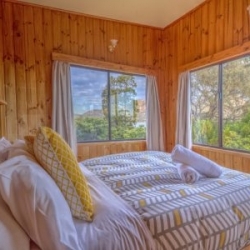 Freycinet National Park at your doorstep with views of The Hazards Mountains. 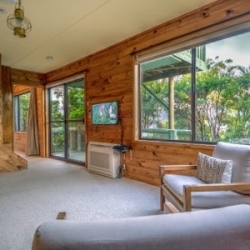 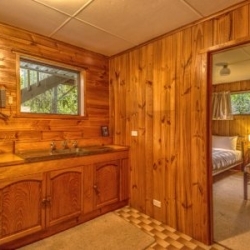 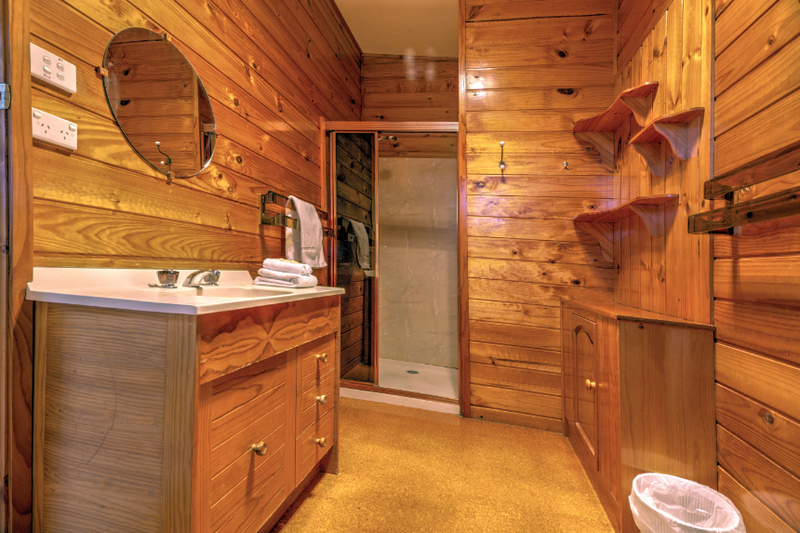 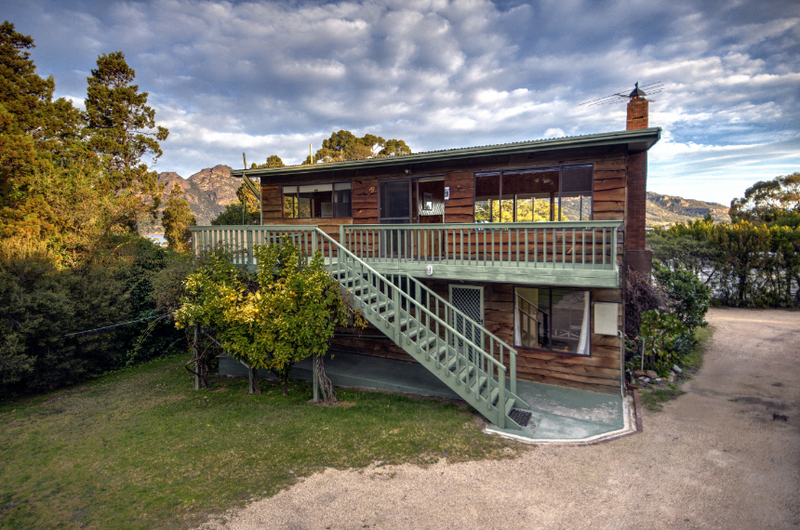 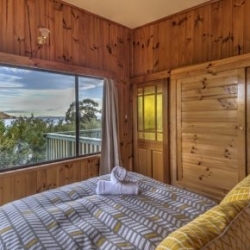 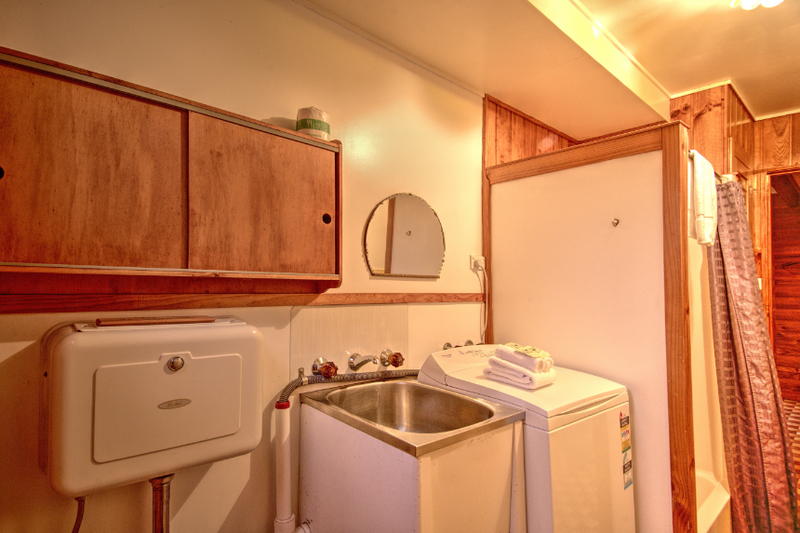 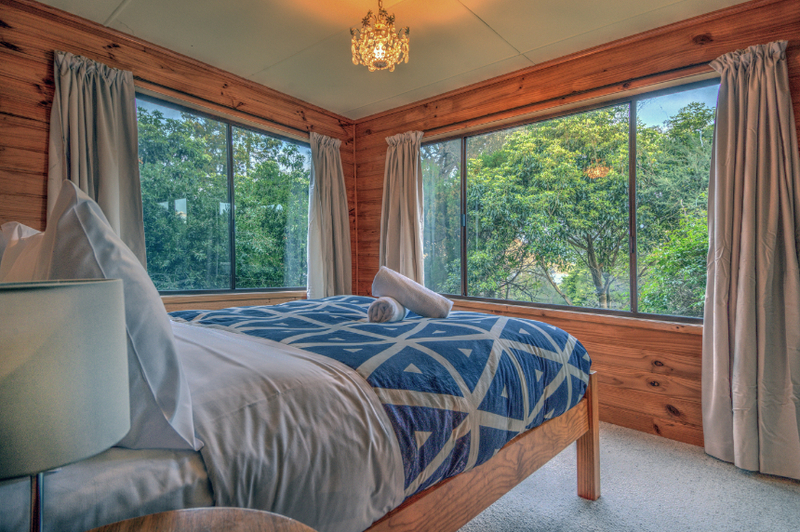 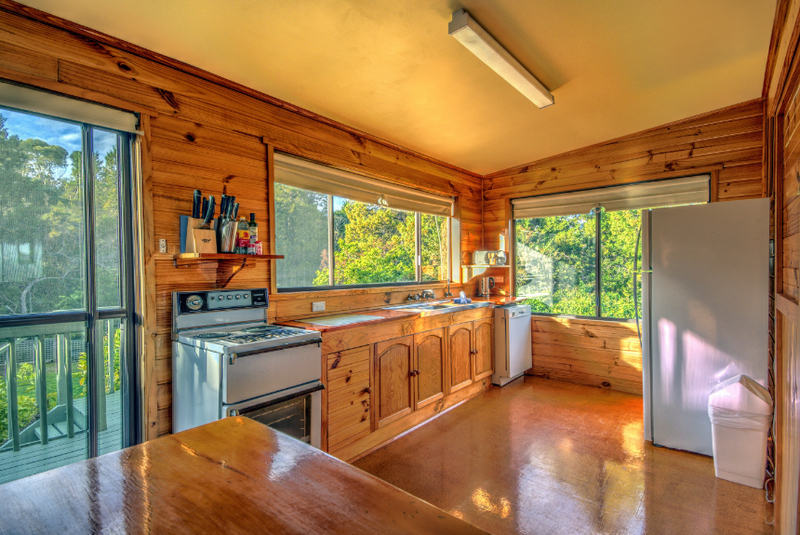 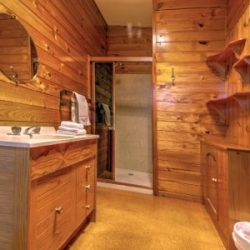 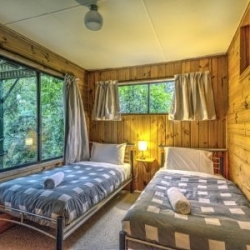 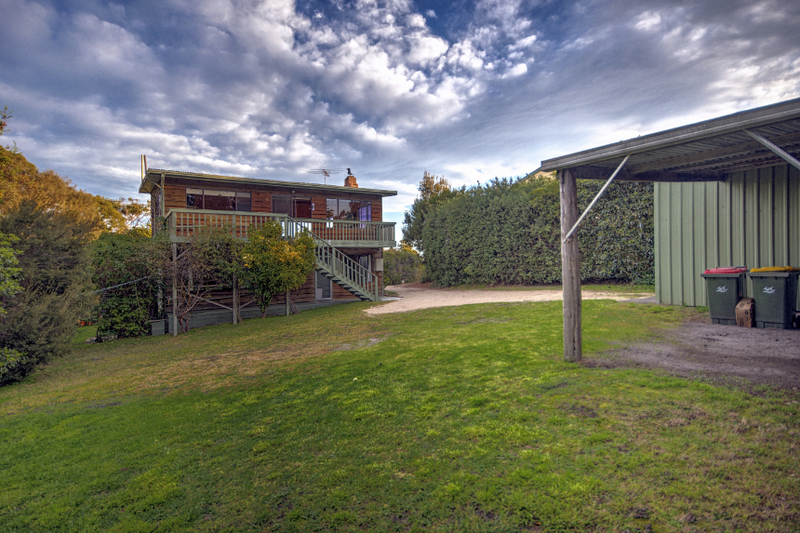 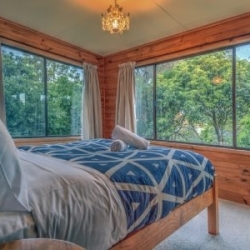 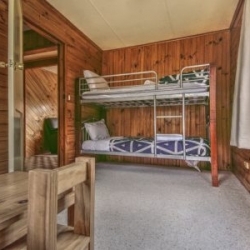 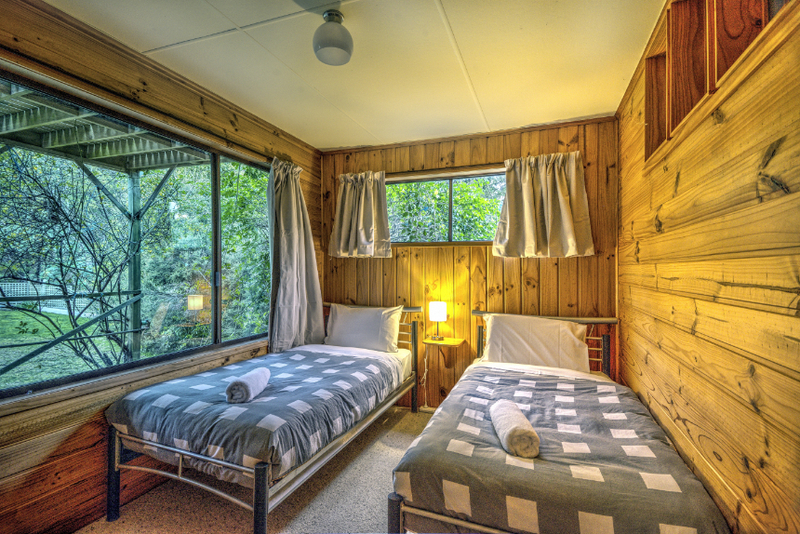 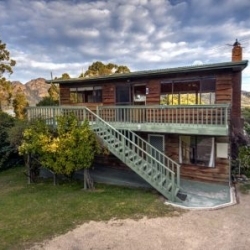 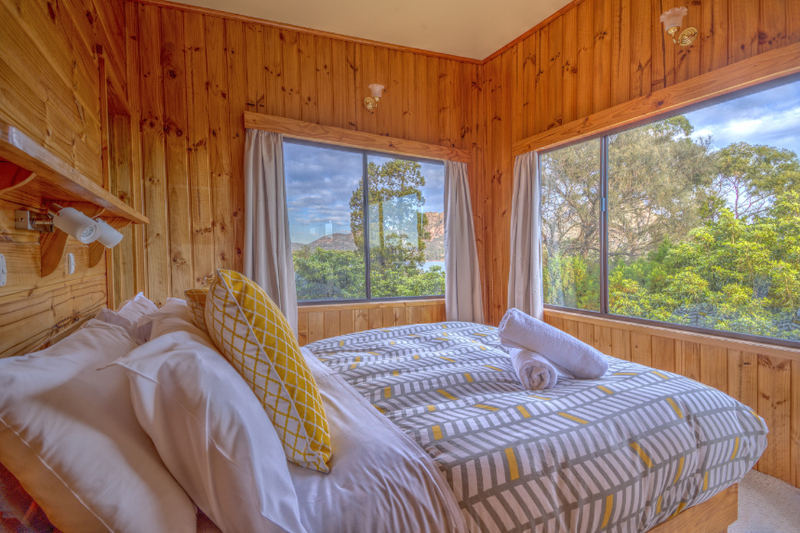 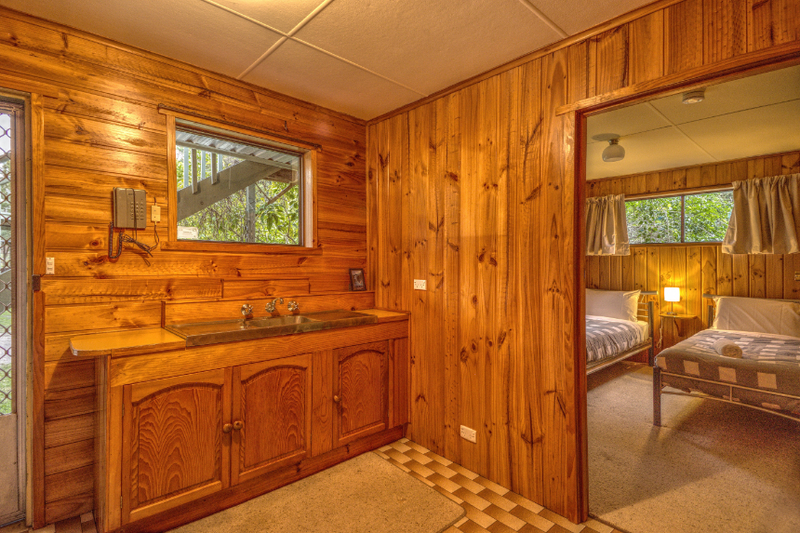 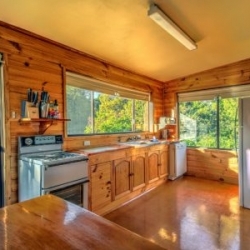 Inside you’ll find a classic Tasmanian cabin feel, to suit a couple or a large family. 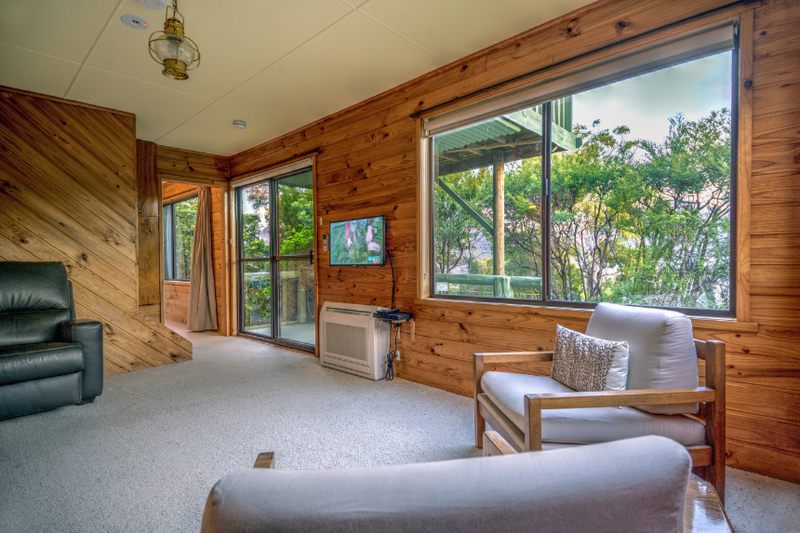 Sun drenched outdoor balconies are a great spot to enjoy a BBQ and outdoor dining. 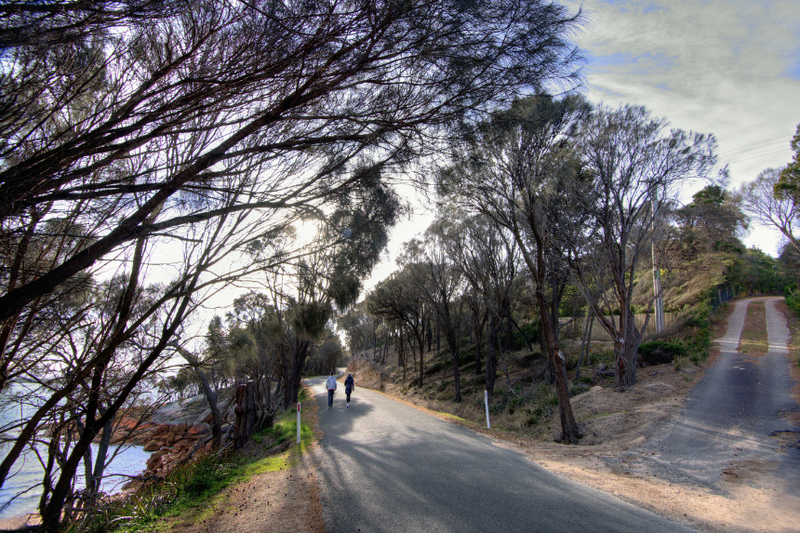 Head to the shops, café, beaches, jetty and Tavern. 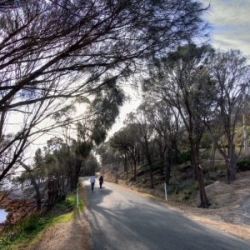 Everything is within a few minutes walk. 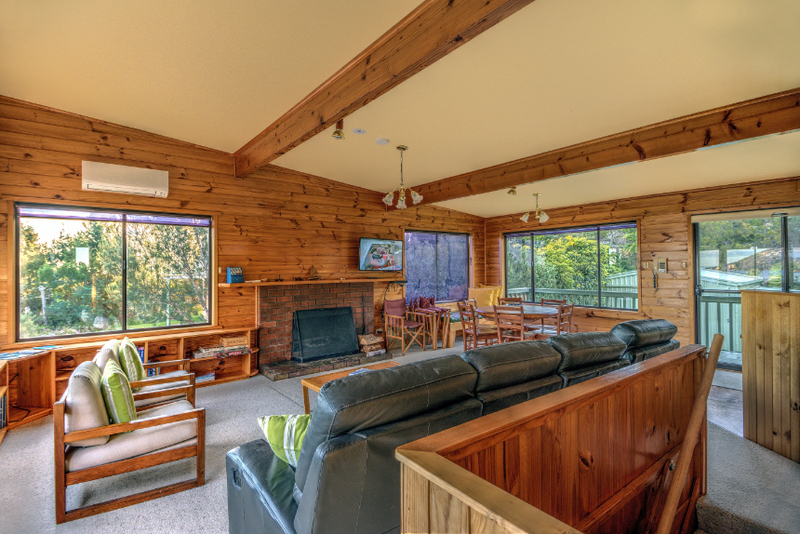 Beachcroft is set in a central location with plenty of room for children to play or simply laze around enjoying the sun. 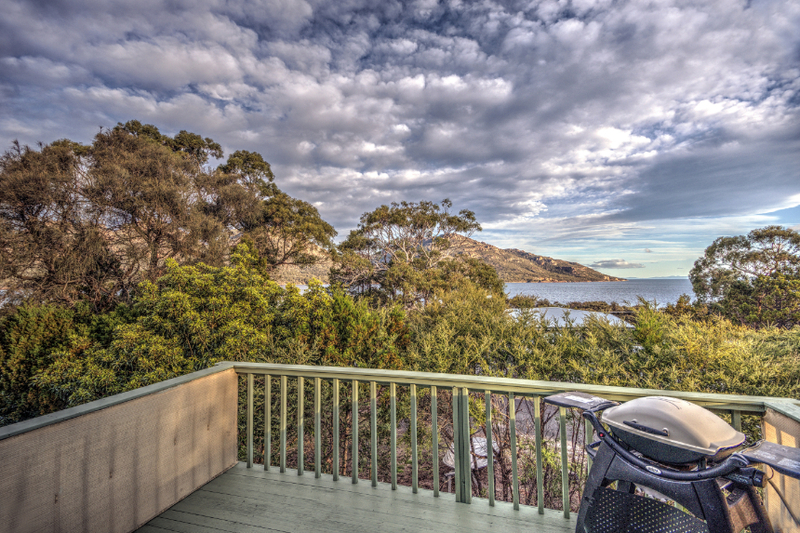 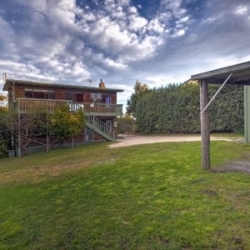 There are private coves and safe swimming beaches right opposite this property. 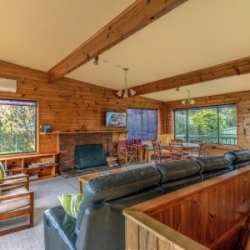 This house has lots of natural light and has an open plan kitchen and lounge area. 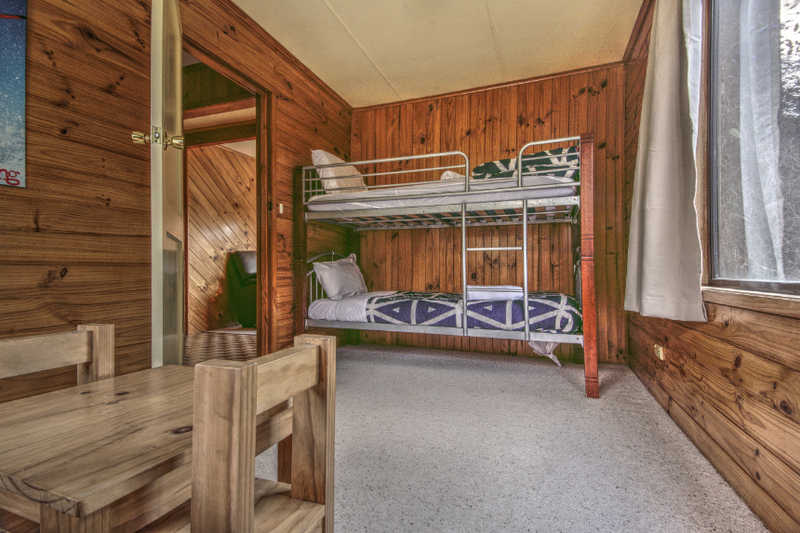 There is also a second small family room downstairs, which is great for kids to hang out in and play games. 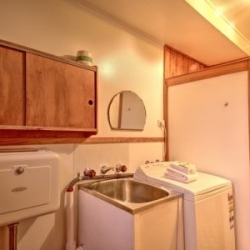 There is plenty of parking and room for a small boat. 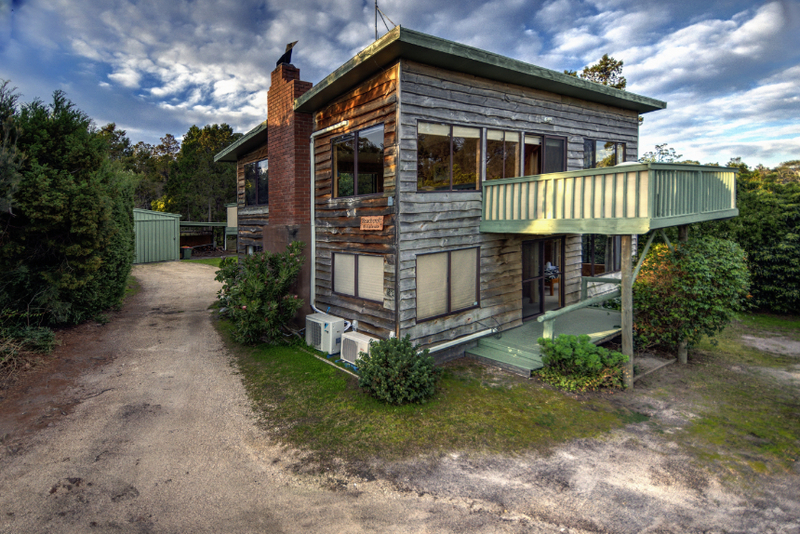 The boat ramp is a one minute drive from this holiday house.